I arrived home on Thursday after a few days down south for a conference to find two incredibly excited kids eating ice cream cones…it must have been a pretty good week. 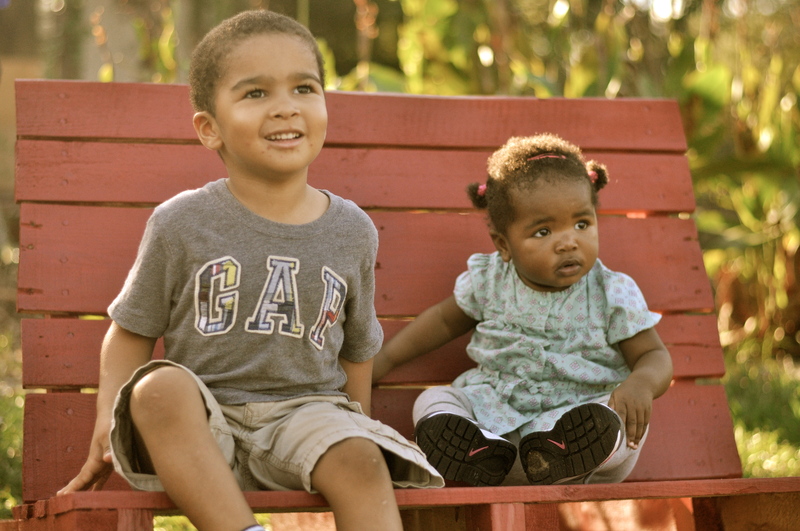 Nolin had a great week at school and Grace was feeling better and sleeping well. It also seems that since her arrival from Ireland, Grace has had an explosion of personality. No longer content to sit on the sidelines and watch Nolin take the spotlight, she is hysterical and she knows it. To celebrate Nolin’s great week at school, Pap Pap took him on a solo play date to the playground. 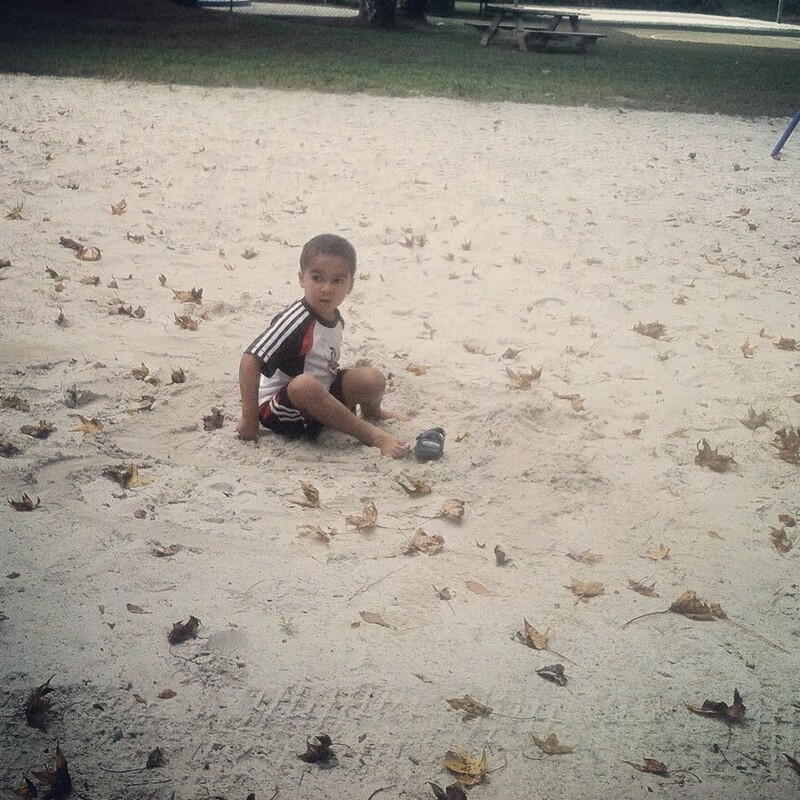 Nolin loves individual attention and loves the playground so he was in heaven. 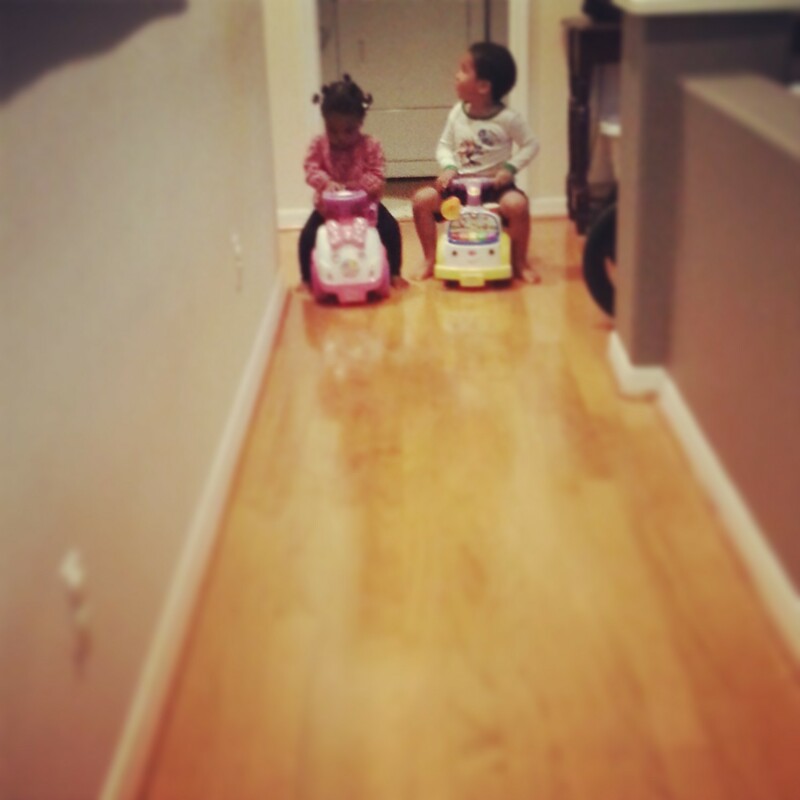 It wouldn’t be until later that night that we would actually see the side affects of this play date. Nolin woke up around 11 crying and screaming that the fire ants were attacking him. I assured him that it was just a bad dream and he was fine. He kept complaining about his fingers and his legs, but obviously there were no ants on him. This would continue throughout the night he may have slept a total of 2 hours that night. At one point, I notice some bumps on his face. As I headed back I told Jenn, I think he may have chickenpox. But there is no way because he was vaccinated, he was simply bitten at the playground today and they were starting to itch. The next morning I put Nolin in the shower with me and convinced him that we would be washing off the ants that he was now terrified of (it was actually heartbreaking). He felt relieved to get them off (although again there were actually no ants on him), but he was so exhausted from the lack of sleep that he fell asleep on the floor in a towel. Throughout the next two days the ant bites were multiplying. As a parent you feel awful to see this happening, but it was also completely strange. We washed his sheets (just in case there were ants in his bed). That Saturday night we went to visit our friends who live out on the farm. 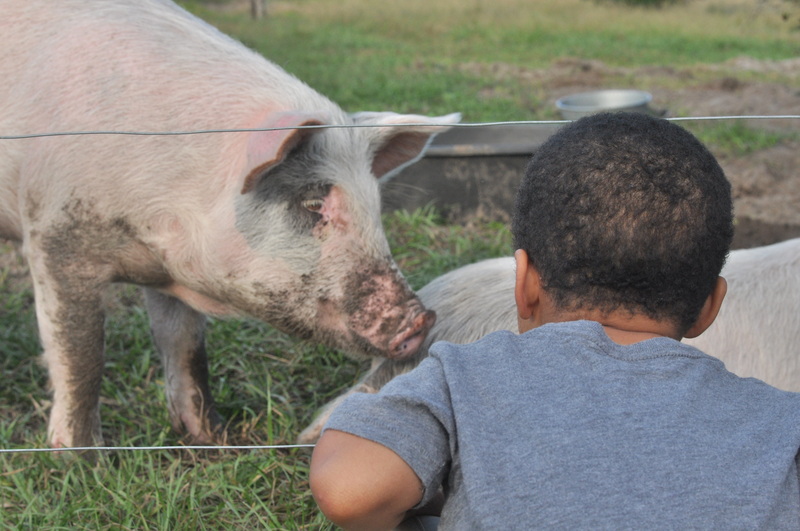 It was awesome and their farm has grown significantly. It is now full of animals. The kids loved it. Grace was intrigued by the baby calf, but a little frightened. 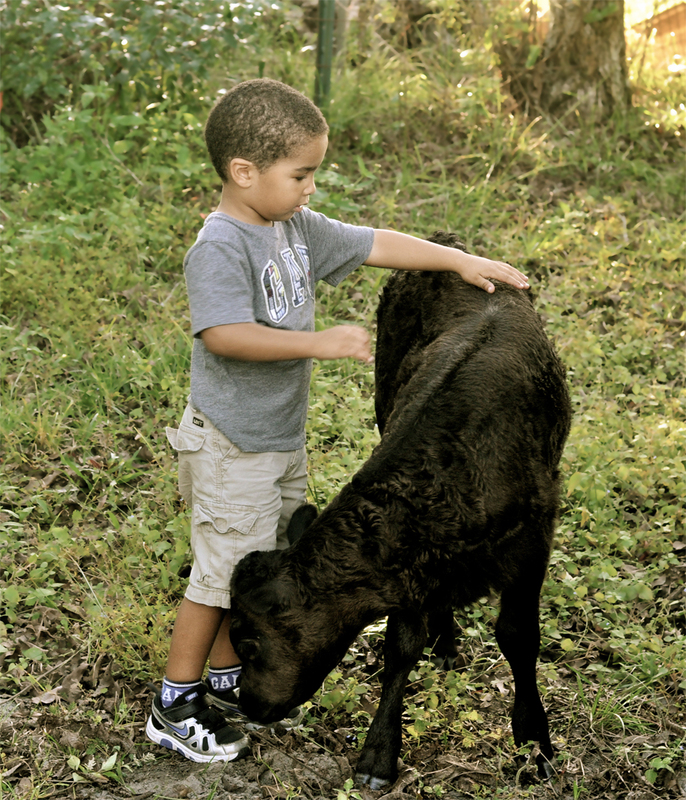 Nolin on the other hand was not, this calf was the perfect size. 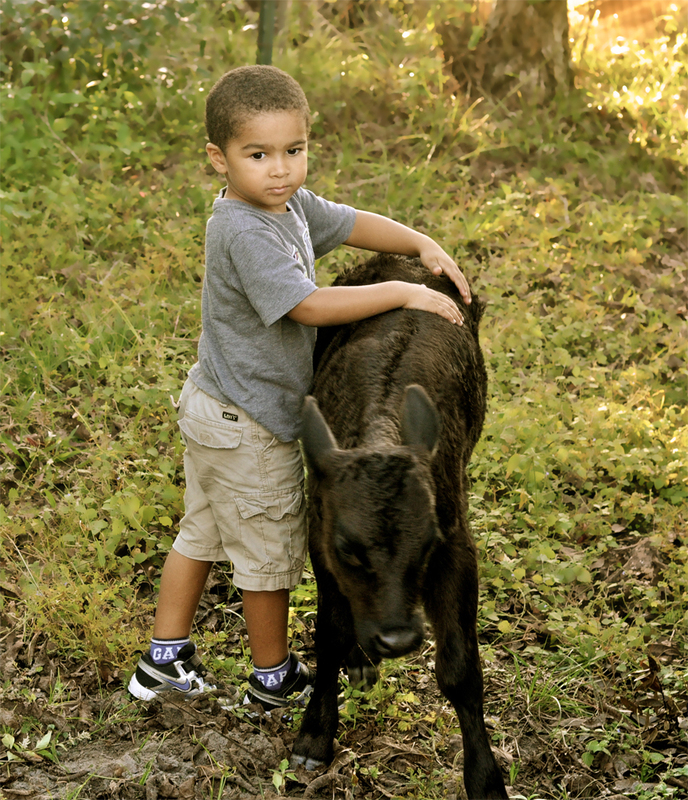 At one point he walked up with two sticks and put them by the calf’s head…Hey look it’s a Reindeer Cow. No lack of imagination. 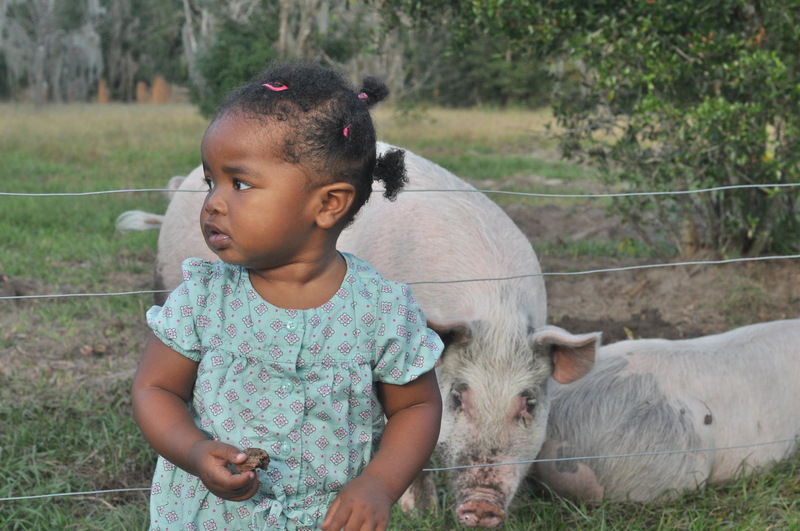 They also were really interested in the pigs. The only problem. 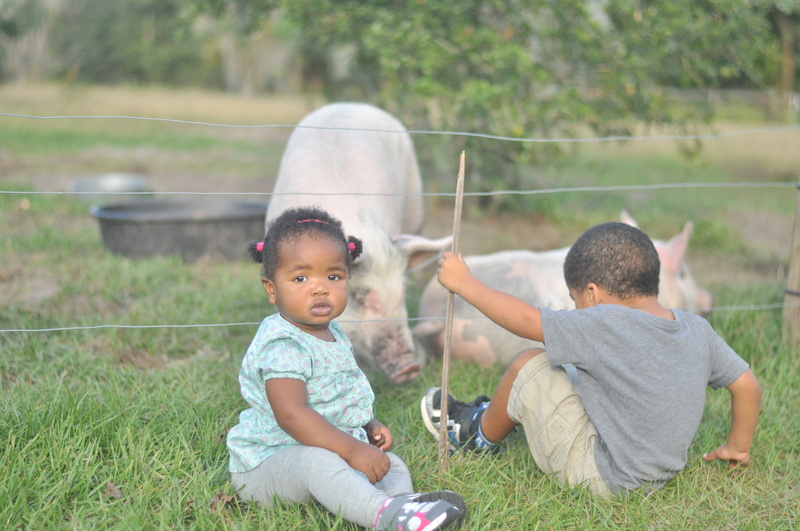 The pigs were surrounded by an electric fence. Grace walked up to it and we told her no that it was dangerous, so she pretty much stayed away. Nolin did the same thing, but he didn’t quite get the message about being dangerous until he got shocked. I guess it was a life lesson. We would find out the next morning that Nolin had not been attacked by ants, but in fact had the chickenpox. Even though he had been vaccinated he still had gotten them. The vaccination probably kept it slightly mild. Luckily by the time we had taken him out into public he was no longer contagious. Also thankfully, Grace did not get them. Shockingly enough, I guess we learned a life lesson too, as much as we want our kids to listen to us, we should probably listen to them too.